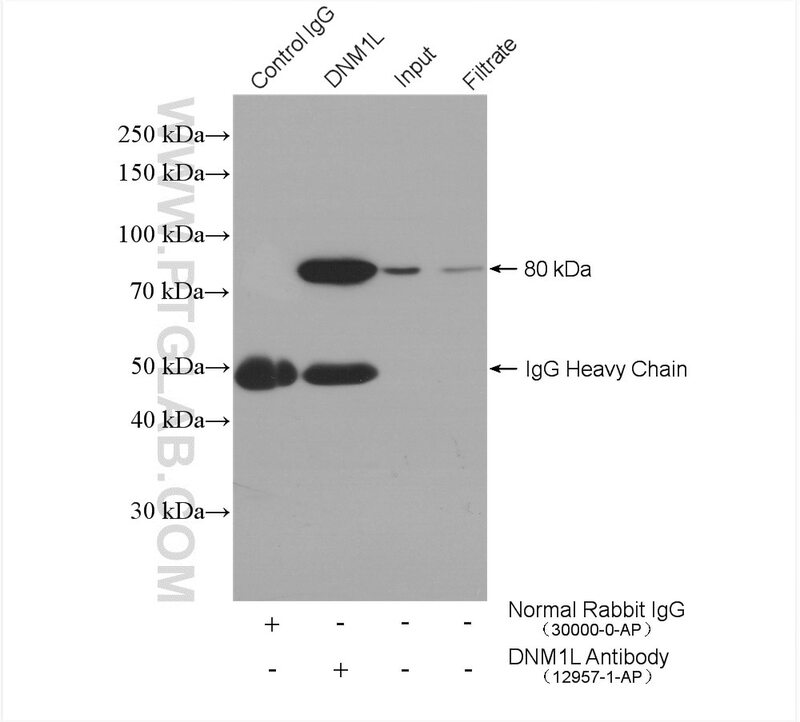 DNM1L(Dynamin-1-like protein) , also known as dynamin-related protein 1 (DRP1), belongs to the dynamin family of large GTPases that mediate membrane remodeling during a variety of cellular processes. 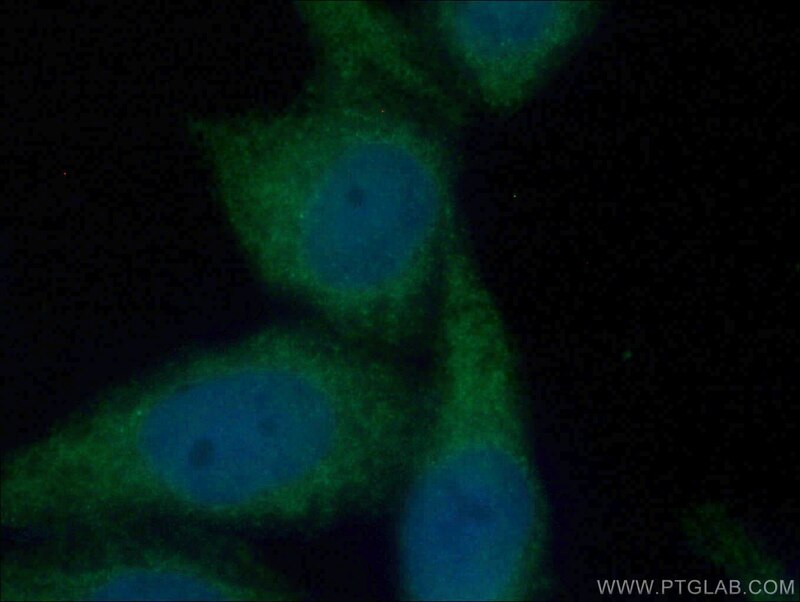 DNM1L has an important role in the division of growing mitochondria and peroxisomes and also mediates outer mitochondrial membrane fission in mammalian cells. 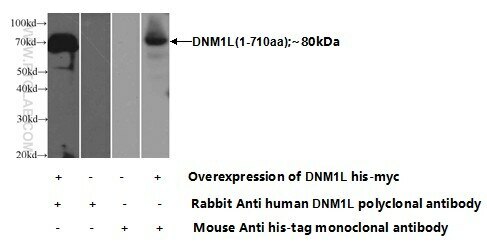 DNM1L is ubiquitously expressed with abundant expression in skeletal muscle, heart, kidney and brain.Variable isoforms of DNM1L have been reported in a tissue-specific manner due to the alternative splicing. Generation and characterization of transgenic mice expressing mitochondrial targeted red fluorescent protein selectively in neurons: modeling mitochondriopathy in excitotoxicity and amyotrophic lateral sclerosis. Exogenous H2S modulates mitochondrial fusion-fission to inhibit vascular smooth muscle cell proliferation in a hyperglycemic state. Resveratrol Induces Cancer Cell Apoptosis through MiR-326/PKM2-Mediated ER Stress and Mitochondrial Fission. The inflammatory responses in Cu-mediated elemental imbalance is associated with mitochondrial fission and intrinsic apoptosis in Gallus gallus heart.